Claybook will have you carving, balancing, and strategically maneuvering through imaginative putty puzzles. Take on the role of an imaginative child who brings their creativity to life through the magic of the Claybook — a stage for all manner of moldable and magical creations. 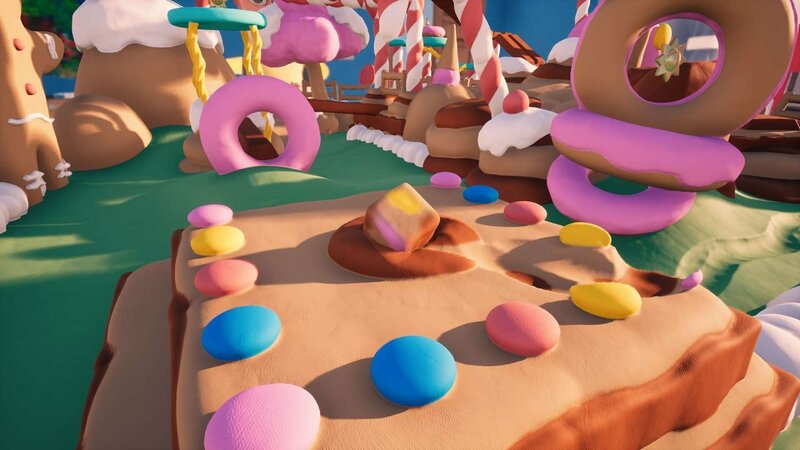 Utilizing innovative, custom “Clayfield” technology that creates true-to-life volumetric clay visuals and physics, Claybook challenges players to solve brain-bending puzzles, create and share moldable landscapes, and uncover the squishy possibilities of this limitless clayground. 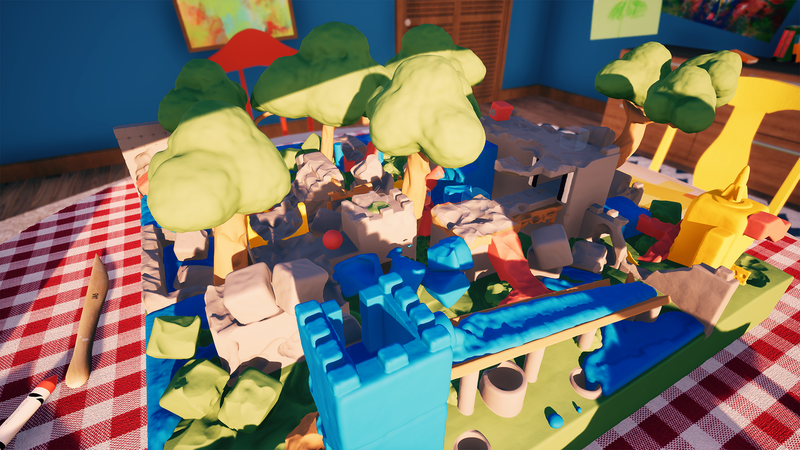 Claybook is a sandbox style game with fairly simple objectives to complete each level. Each level has its own way to complete it, and not every requirement has to be met. Similar to games like Cut the Rope, each level has a maximum of 3 stars you can achieve, so long as you finish all the objectives in a level. Achieving stars will unlock different chapters and levels as you progress through the game, with additional community content available to download or make yourself. In the world of Claybook, you control a small mass of clay that can morph into 4 different shapes. The sphere is your most basic shape, and is useful for traversing the sandbox. The cube is used for carving more quickly and deconstructing the environment. The cylinder is best for climbing steps and stairs, and the disc is suited for making platforms and pathways. This game is all about creativity, and is very casual. Messed up? No problem, just rewind back to where you were a few seconds ago! Rewinding will cause a “stamp” of your Clay piece in the same position where you were, making it possible to create new paths and giving you more traversal options. Objectives throughout the different books and levels will vary, such as filling areas with liquid, moving liquid out of areas, reaching certain waypoints, destroying objects, etc. Certain levels also have special shapes that can be taken control of, some of which even have their own special abilities unique to that shape. Level design in Claybook is very open ended and simple. Each level provides you with a simple objective, and it’s up to the player to decide how they reach the end goal. If a level is too challenging, you can choose to end the level early without fully completing the objective for fewer stars, or downright skip levels entirely if you’ve earned enough stars in previous ones. With an open ended design for each level, it’s up to you, the player, do decide how you finish each book! With there being a community workshop, if you enjoy this title, there should be plenty of content to either play, or make yourself! On top of that, you can always strive to get onto the leaderboards for fastest level clears if that’s more your speed. All that being said, I do have a few gripes with the game. The camera felt completely wonky from the beginning, but after tweaking it a little bit in the settings I got it to where it felt comfortable. Traversing the different levels can get a little frustrating with how the physics work. Overall, if you’re looking for something simple and easy to pick up and put down, this may be the game for you. Previous Reinx updated with full 7.0 support!